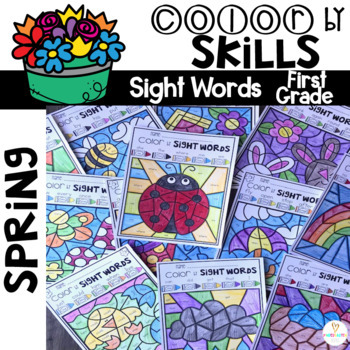 Spring Color by sight words First Grade is a fun and engaging way to practice sight words with your kindergarten and first grade students. 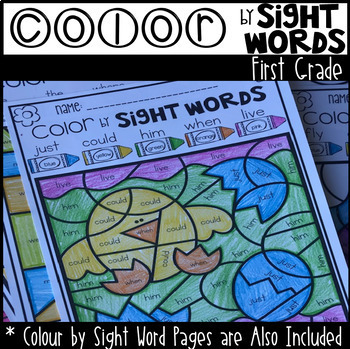 Students will work on sight word identification, sight word writing and spelling all in one activity. 40 of the 41 Dolch first grade words are broken down into sets of 5. 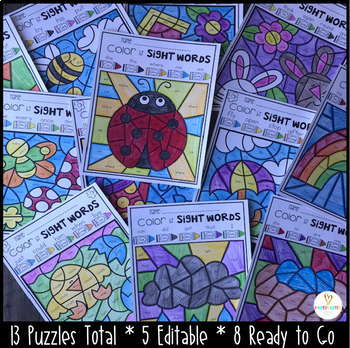 This unit includes 5 EDITABLE puzzles. 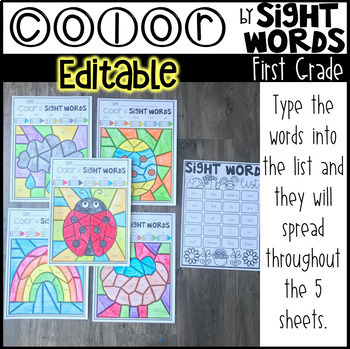 Spring Color by SIght Words (First Grade) is a part of a bundle. Click (here) to check it out! **Click on the Green Star above to Follow Kindergarten Rocks-new items are 40% off for the first 48 hours.